Or better still why is a waste a waste? 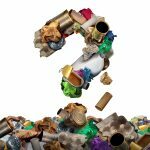 The Environmental Protection Agency (EPA) has recently published 2015 figures relating to the recycling and recovery of waste. Ireland has undergone a transformation in recycling and recovery of waste and the report confirms Ireland’s progress over recent years. However, the EPA has warned that Ireland will find it challenging to meet the new EU targets for 2030. A circular economy can help achieve these targets, save money and reduces pressure on the environment. However, significant barriers need to be overcome. Whereas technical, financial and commercial objectives need to be achieved for the sustainable production (and reuse) of any product, significant regulatory barriers remain when it comes to the recovery and reuse of waste material in Ireland. Unfortunately, once categorised as a waste, materials must receive “end of waste” certification to be reusable within Ireland on a viable scale such that products can be created which can be sold on national and international markets. To date no such certification has been issued in Ireland. Option B is to ensure that the resource never becomes classified as a waste. This requires careful consideration of supply chain, process control and production management criteria to ensure that the “resource” (not a waste) never becomes a waste as defined in the Waste Management Act. Please feel free to contact us to discuss how value can be gained and retained through optimising resource (not waste) management.